Cape Town-based producer and rapper Phola Pemba, who goes by the name Phola, Phola, creates music that is nostalgic and deeply personal; dancing on the lines between Soul and Hip Hop. She may still be fresh on the scene, but, her flow and delivery transcend punchlines and puns. Phola, Phola is one to watch. 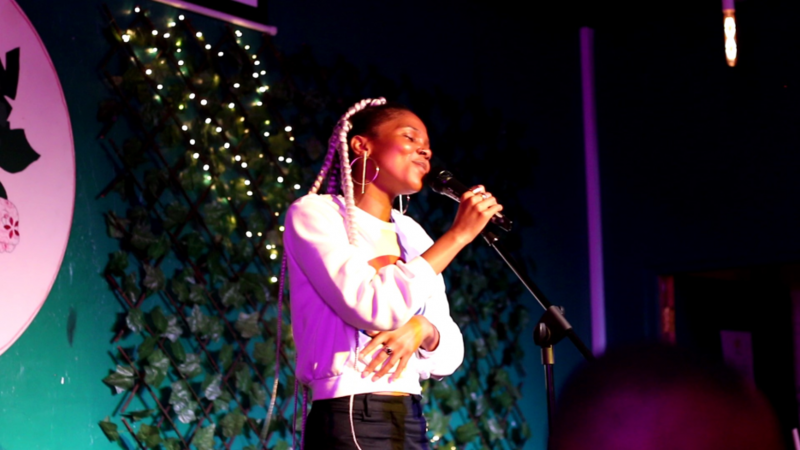 We interviewed Phola, Phola to talk about her sound, her thought process and what we can expect from her as an artist. In three words, describe who Phola, Phola is? When did you know that you wanted to pursue a career in music/ when did it all start? I’ve kind of always known – I don’t really remember a time when I didn’t have an intense love for music but for some reason, I had always put it on the back burner and just did it as something that brought me joy, nothing more really. Then in 2017, I started producing and released a song a few months later in 2018. That was followed by a freestyle video I dropped online for fun. None of it was planned or thought out but the reception to both was what made me realize that I may have a voice and that my music, my thoughts and feelings and vibes resonate with other people and make people feel something, so that’s cool. I’m influenced by music I grew up listening to which was a lot of R&B and soul and a lot of hip hop and of course things I’ve seen and experienced, people I have known and relationships I’ve had. I would call my style of music Future Soul and I’d describe it as wholesome, full and filling with a bounce. 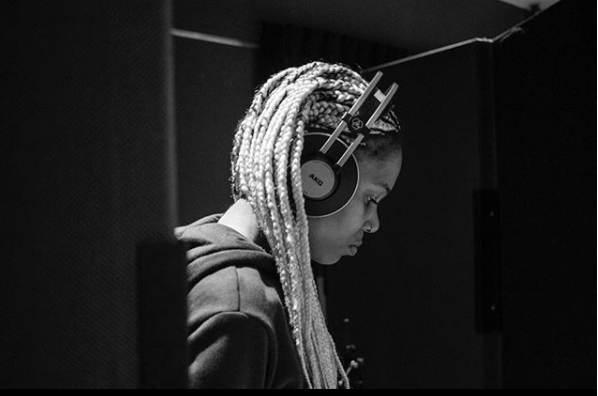 What would you say you’ve come to learn whilst you’re hustling as a woman rapper in this industry? It’s tough for people (read men) to let go of the “female” before “rapper”. Although I get a lot of genuine props from people of all genders, I also am often reminded that a good amount of people have put me in a box and they’re convinced it’s where I belong. It perpetuates the misconception of what a rapper looks and sounds like in 2019. So that’s an ongoing struggle. Personal experiences are often the starting point for most artists, what’s your opinion on narratives and preserving our identities? I think it’s a good way of learning about ourselves, because by sharing these real moments you’re not only offering relatable art, you’re also creating something that you can go back to and use as a mirror of your past and/or present self. Are there conversations that you think we aren’t having enough of/we ought to be having more of on the local music scene? The benefits and importance of being self-sufficient and having full autonomy over your music, your creative process and your artistry as a whole. Not even in terms of the label vs independent artist debate, because it is difficult to pull off 100% independence without the necessary resources, but I feel that it’s more about encouraging a certain mindset. Music everywhere seems to have become more of a business transaction over the years. We have to be assertive when it comes to our art and feel some sort of obligation to stay true to it and protect it. However, this is from an artist’s point of view, not “the industry”. We’re all human, we’re all figuring it out. As different as our lives may be, we all share fundamental similarities and that’s what matters. If we all do the work on ourselves for ourselves we’ll ultimately be good for one another. The project is quite personal and because of that I did it mostly by myself. A good part of it was written and produced spontaneously at wild hours but I did get to work with some dope Cape Town-based artists such as Garth Ross who’s a vocalist and producer and Dean Thorne who’s a singer and guitarist. I’m still busy with it so there’s another artist or two who may drop a feature. Still making music and still performing. Mars ft. @garthross_ Artwork: @ndrzla Link in bio Please enjoy with headphones or speakers 🌻.